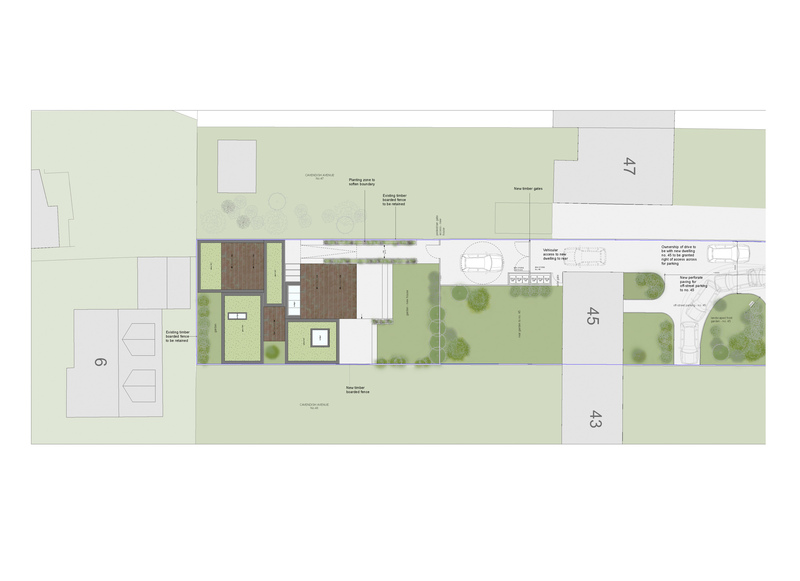 The garden house is a new single storey house to the rear garden of an existing dwelling in an established residential area near to the centre of Cambridge. The client has some health issues and wished to have a new home designed for her so she can stay in the area close to her network of family and friends. 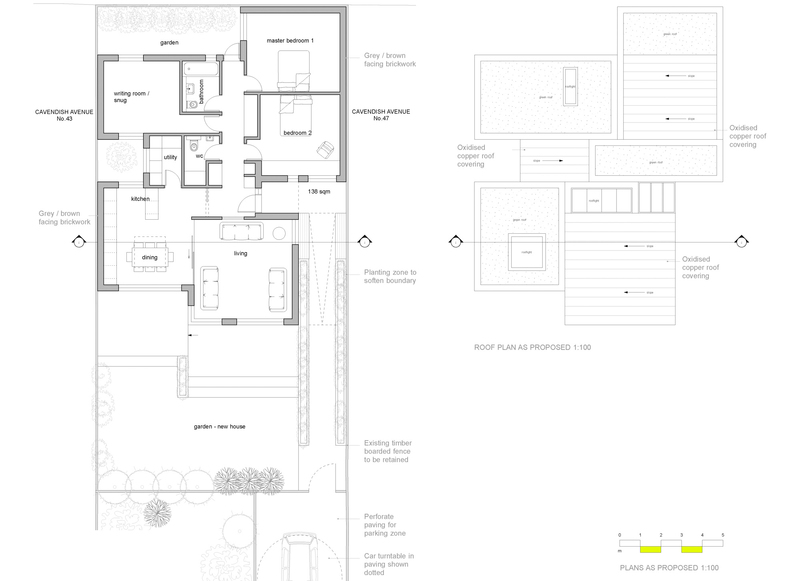 The home is designed to satisfy Lifetime Homes Standards, and along with this the client wished the design to also reflect her love of contemporary light filled spaces. 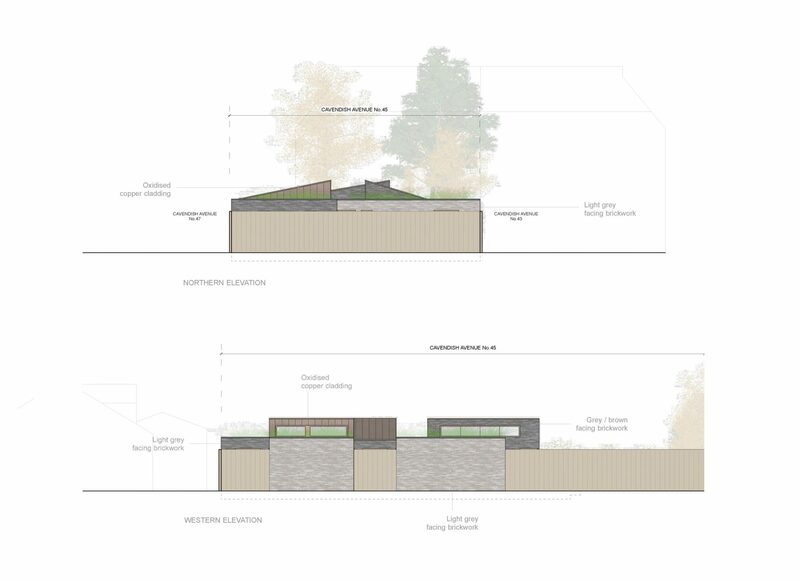 On occasion these 2 design issues can be far apart, but for this project we wished the house to successfully satisfy both these aims. 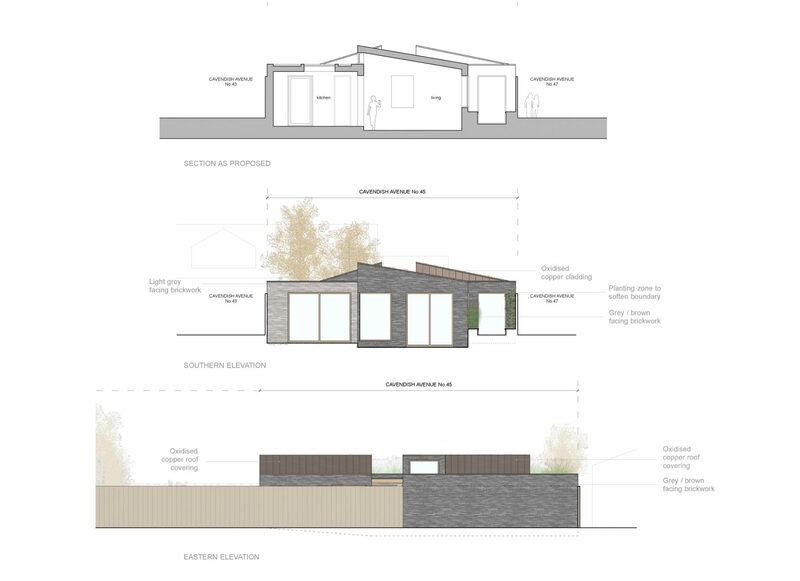 The house will be constructed in dark and light grey linear brickwork with areas of patinated copper roofing and large sections of planted roofs. 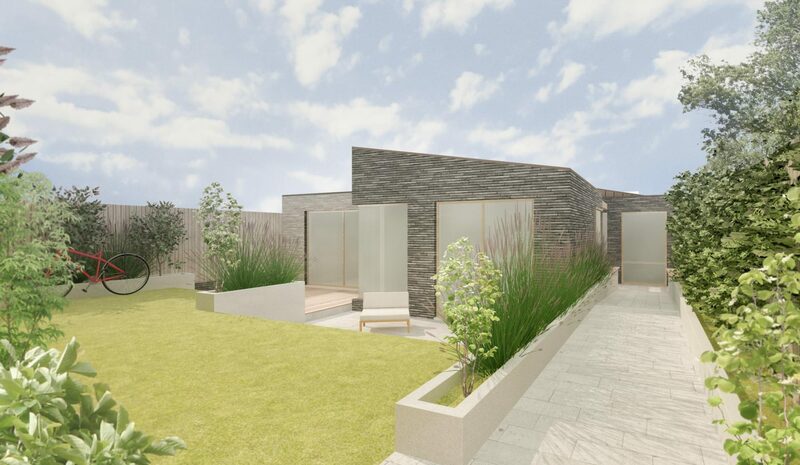 The materials were selected in order for the house to sit comfortably in the mature rear gardens of the surrounding housing.